Movie Connect comes in 3 different views that you can set. Block View, Cover View and List View. 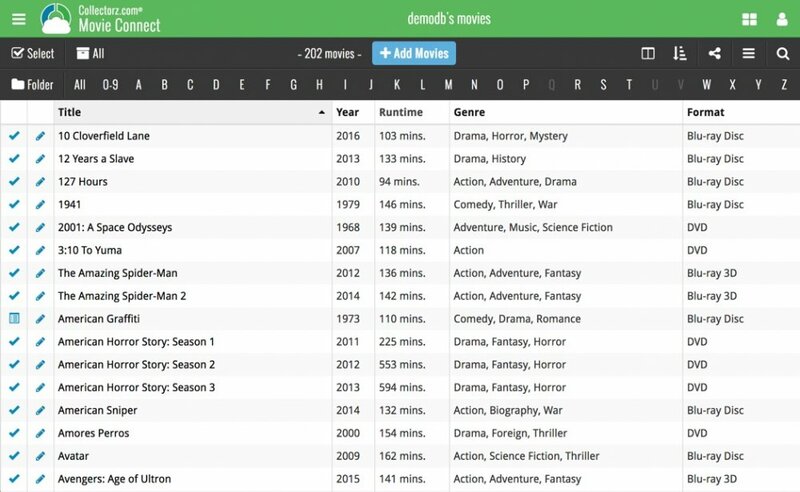 The list view shows all your movies in a neat list. You can choose your own columns in this view to select which data columns you want to see in your list. The cover view shows all the front covers of your movies. Hover your mouse over a movie to reveal an edit button to edit it directly. 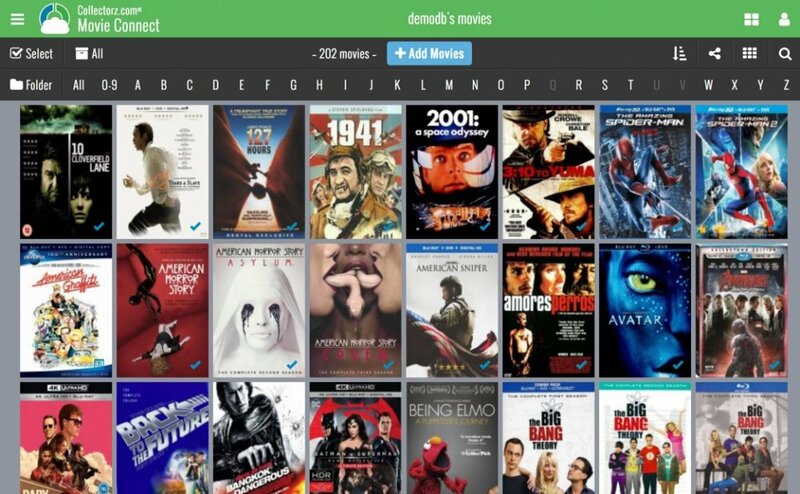 The card view shows your movies in cards, with the most important identifying information about the movie. Hover your mouse over a movie to reveal an edit button to edit it directly.